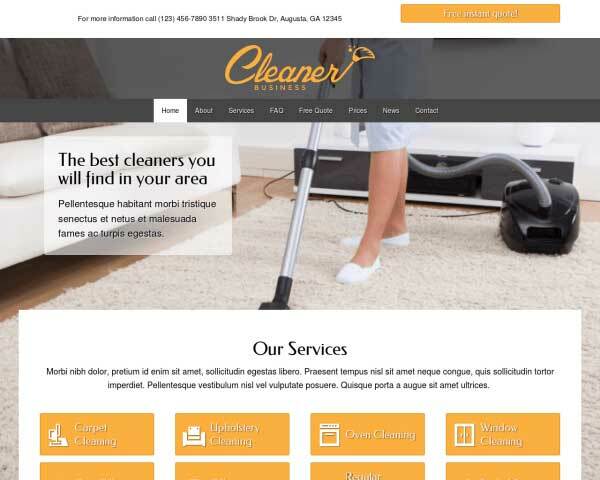 Start with the Cleaning Company WordPress Theme to quickly create a professional online presence for your cleaning company. With elegant design and powerful business features for cleaners, all that's missing from this pre-built WordPress theme is your own photos and text. 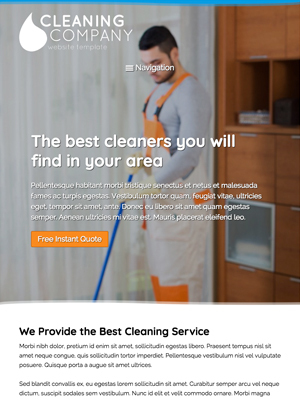 The Cleaning Company WordPress Theme is a low-maintenance, pre-built website template specifically designed for cleaners. Its bold look and neat layout add up to a quick way for cleaners to create an online presence that projects professionalism. Relevant pages are already set up with text and images so all that's left to do is drop in your own content. Absolutely no coding skills are required to change the color scheme and adjust page layouts using our visual front-end editing tool. Take a look at the demo site and try it risk-free for three days to find out how the Cleaning Company WordPress Theme can help you expand your reach and grow your cleaning business online. 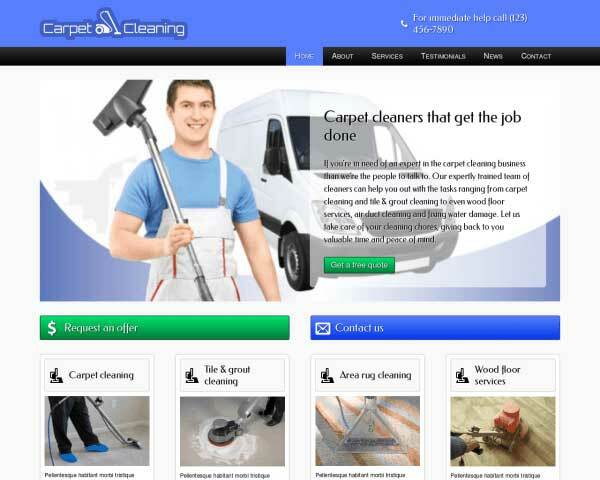 Increase customer expectations with Cleaning Company WordPress Theme which was made specifically for cleaners. 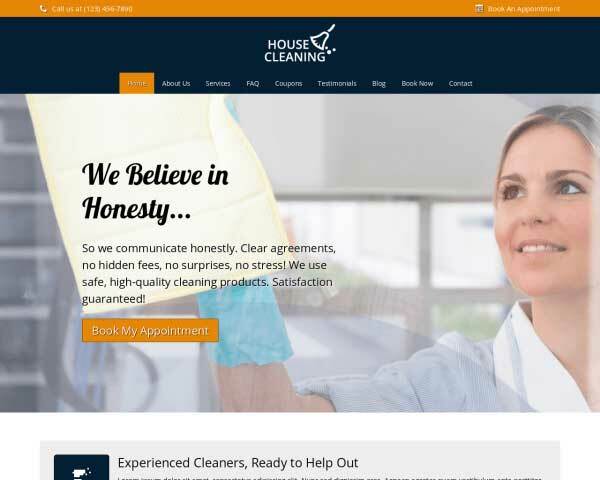 Prospective clients won't have to search to take the next step and get in contact thanks to a clear call-to-action on every page of the Cleaning Company WordPress Theme. 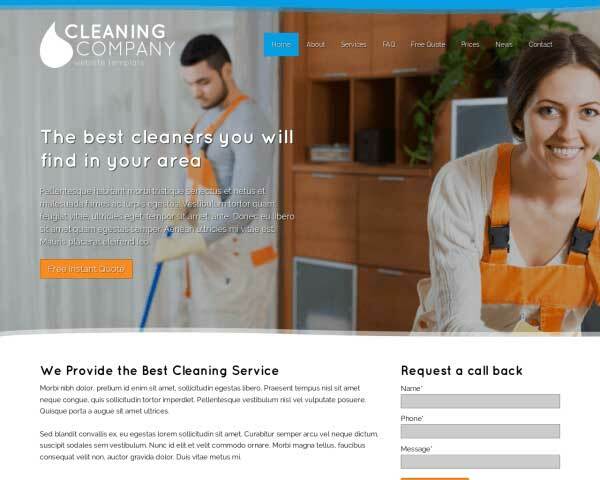 Featuring an elegant, modern design that allows your content to shine, this Cleaning Company WordPress Theme helps you create a visually stunning website for any cleaner. 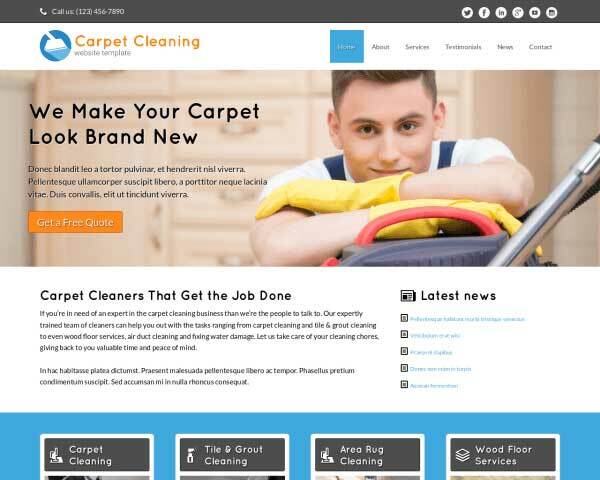 Outline your rate structure and services on the dedicated page of the Cleaning Company WordPress Theme. Add rows, columns or price charts as needed. Share your unique and appealing offerings on the service detail pages of the Cleaning Company WordPress Theme. Simply replace the text and images with your own. 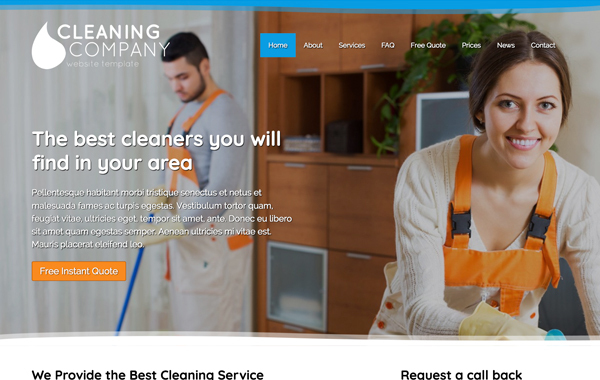 The Cleaning Company WordPress Theme's homepage is laid out rock solid. With a beautifully symmetrically aligned service overview for you to showcase your particular skill-set. The Cleaning Company WordPress Theme features attractive icons for the most popular social media platforms, allowing visitors to easily follow you online or share your content on their own pages. It's official, according to the Online Publishers Association, mobile browsing now exceeds desktop browsing. So just think of all the customers that your business is missing out on, if you do not have a mobile friendly website. 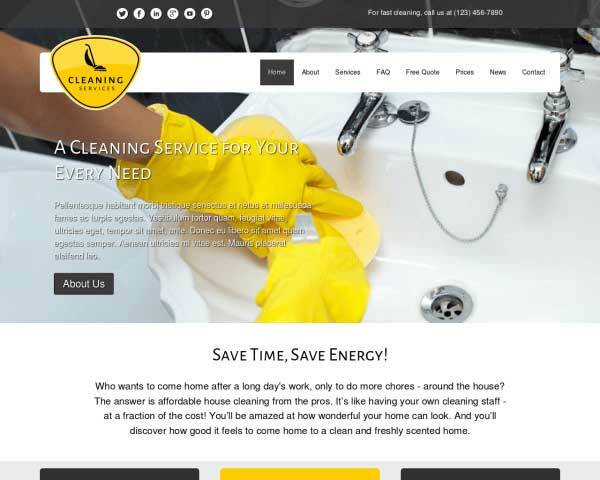 Fortunately, the Cleaning Company WordPress Theme makes it easier than ever to reach customers on their mobile devices. Since the theme is responsive to devices of all sizes, images, text and menus automatically adjust to your customers screens. This way you never have to miss out on business from mobile visitors.